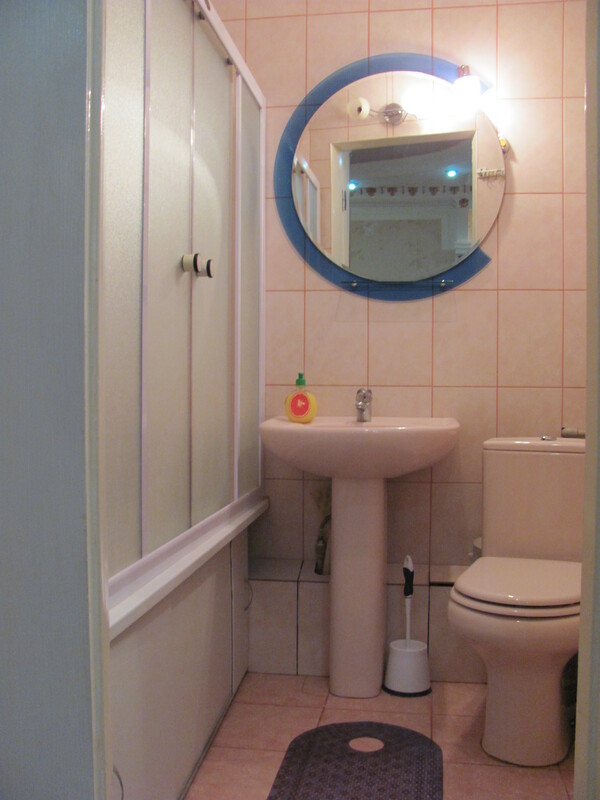 Double-room apartment (standard). It is located in new and modern district. 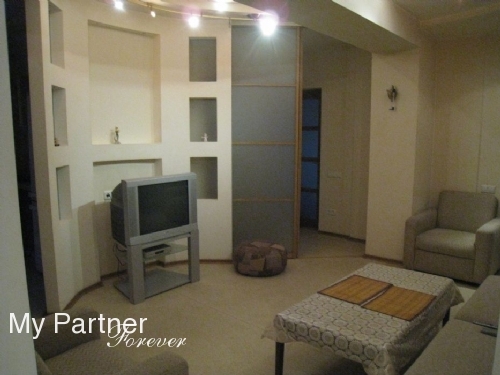 Apartment is equipped with modern furniture, good modern kitchen-studio, phone, cable TV, air-conditioner, washing machine. FREE INTERNET IS INCLUDED. Meeting at Kharkov airport and transfer to the hotel/apartment plus transfer in a day of leaving. 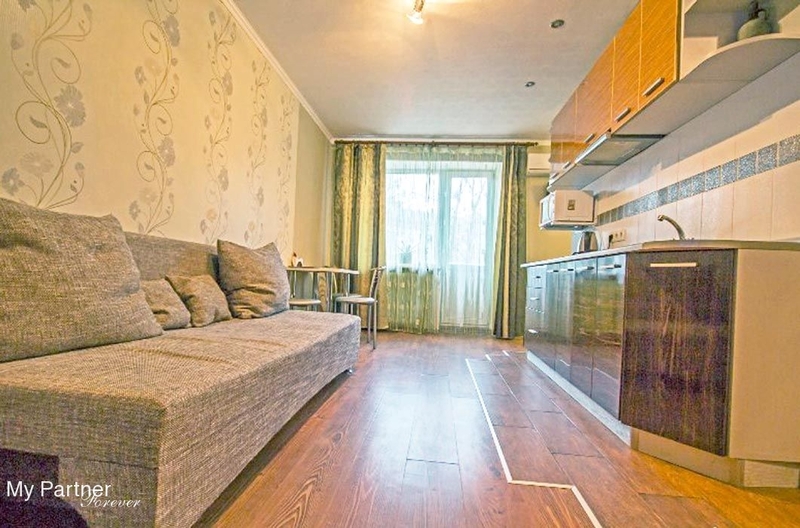 Meeting at Borispol (Kiev) airport and transfer in Kharkov hotel/apartment. 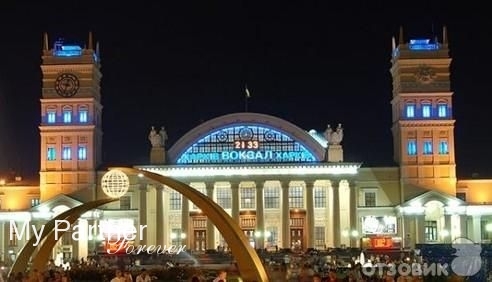 Transfer from Kharkov to Borispol(Kiev) in a day of leaving. 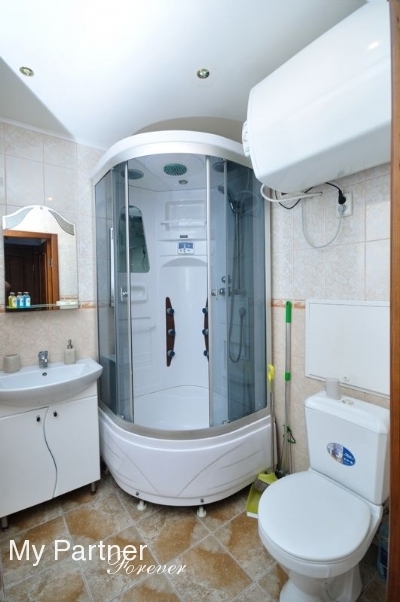 Rooms: 2; bathroom: 1 Area 55.00 sq.m. Balconies: 1; Floor: 4 (there is an elevator). Input: Code Door, Reserved Door. Telecommunication: Cable TV, Wi-Fi, City telephone. Kitchen devices: Refrigerator, Teapot, Electro teapot, Microwave. 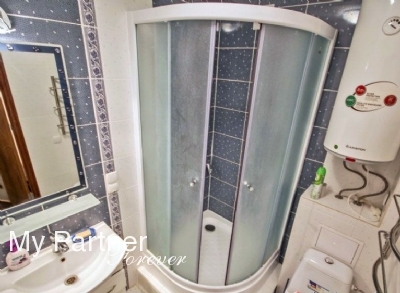 Bathroom devices: Hot water, Bath, Hair dryer, Iron. Our English speaking driver is at your disposal. He will meet you at the Boryspil airport, Kiev driving Nissan Maxima or Deawoo Lanos he will get you to the exact place of your stay in Kharkov. 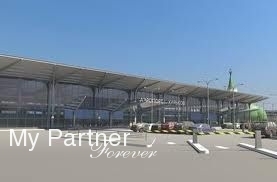 At the end of your stay our driver will get you back to the Boryspil airport. You pay for round trip. Our English speaking driver is at your disposal. He will meet you at the Dnepropetrovsk airport driving Nissan Maxima or Deawoo Lanos he will get you to the exact place of your stay in Kharkov. 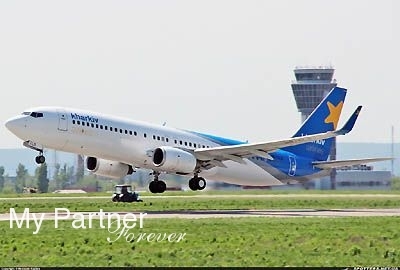 At the end of your stay our driver will get you back to the Dnepropetrovsk airport. You pay for round trip. 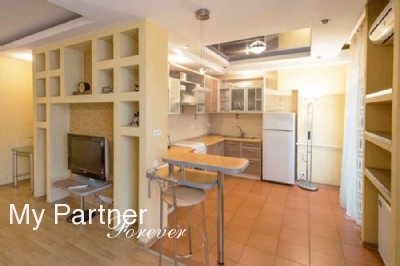 Renovation in this luxury one-room studio apartment has been finished in May 2008, and is to our mind a very successful designer`s project, as imposes very pleasant, spacious and very comfortable feel for even very demanding clients. 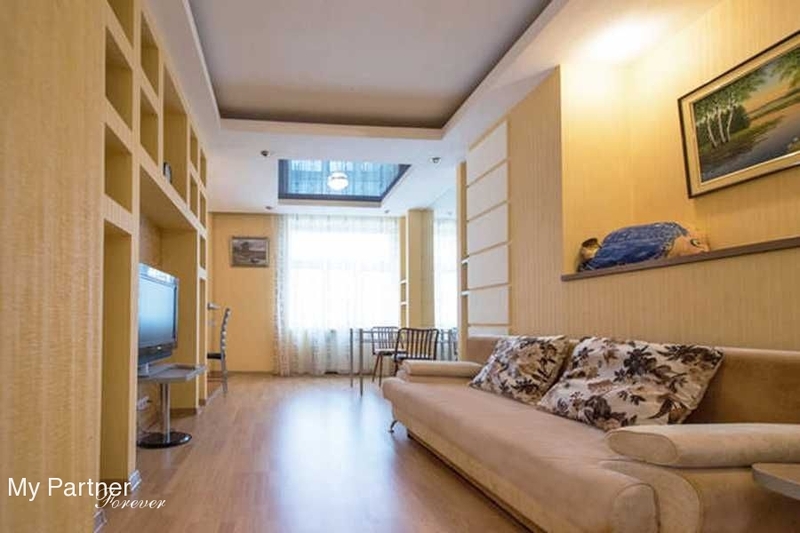 Apartment is equipped with new furniture; there is a flat screen TV with satellite for multi-lingual channels, as well as air-conditioner, Wi-Fi, king-size bed with orthopedic mattress, also comfortable sofa with can be converted into sleeping place, kitchen zone. 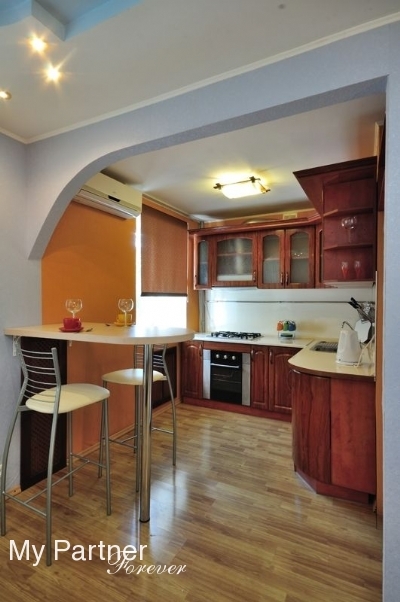 Deluxe two rooms apartment in the center of the city. Internet connection is available.